Dave Waymouth had an itch to earn his MBA. His dog simply had an itch to escape. Those two worlds collided when Waymouth entered the UMass Innovation Challenge with an idea: to develop and market a more effective pet tracker than the ones he had researched, with some disappointment, on the Internet. Fast-forward two years, and his startup company, PetSimpl, is preparing to unveil a device called Pip, which uses GPS and Bluetooth technology to keep dogs safe, track their exercise levels, and potentially much more. Dave Waymouth calls his 15-pound dog, Pip, an escape artist. Dog and owner were reunited, but it wasn’t the last time Pip tried to get free. So Waymouth started scouring the Internet for a product that would alert him to potential escapes and help him recover the dog. While that struggle was going on at home, Waymouth was running a video-marketing company in Northampton. 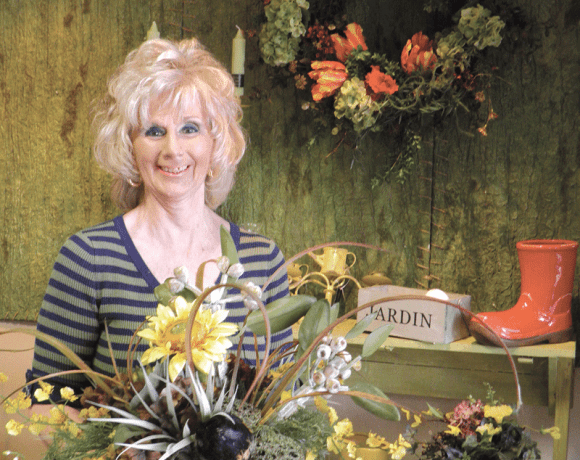 Its product was a channel on area hotel-room televisions — in fact, the channel that automatically appeared when the TV was switched on — that highlighted local dining and attractions; area businesses paid Waymouth to advertise on the channel. It was a good idea, one he’d picked up working for larger marketing firms in bigger cities, but he questioned its scalability. Besides, as someone who had studied English and film studies as an undergraduate, he felt he needed more business expertise, so in 2013, he returned to UMass to enroll in the MBA program at the Isenberg School of Management. There, he was exposed to the Innovation Challenge, a competition during which potential entrepreneurs develop product ideas and pitch them to judges. That’s when he thought of his dog. Fast-forward two years, and that idea has become a company called PetSimpl, and a tracking device called — of course — Pip, which alerts owners with Bluetooth if a dog leaves a pre-set area and activates a GPS tracker on a smartphone app to locate the furry runaway. When the dog is in the ‘safe zone,’ the device operates at minimal power, extending typical battery life to about three months between recharging sessions. Currently in the final stages of production, after which it will be shipped to customers who preordered it, Pip is also a kind of “Fitbit for dogs,” Waymouth said, serving not only as a tracker, but also as a way to monitor a dog’s activity levels using that same app. 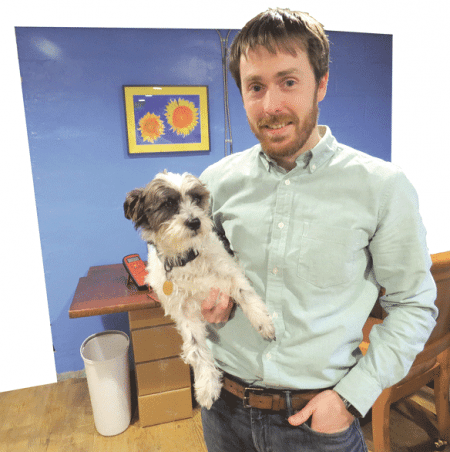 In this, the latest in a series of articles highlighting entrepreneurial endeavors across the region, BusinessWest sheds some light on a device that promises to improve the lives of dogs — and the people who worry about them. The Pip product didn’t appear overnight. Rather, it emerged from the supportive world of startup incubators and crowd-funding campaigns. Still, he went on, Pip was only an idea at first, not anything resembling a company. But what the UMass Innovation Challenge, and later the MassChallenge accelerator program in Boston, gave him was a chance to have that idea validated by others, and to develop a real business plan. Dave Waymouth (left, with Seth Berggren) says he hasn’t been too aggressive in marketing Pip, preferring to launch at a manageable pace. 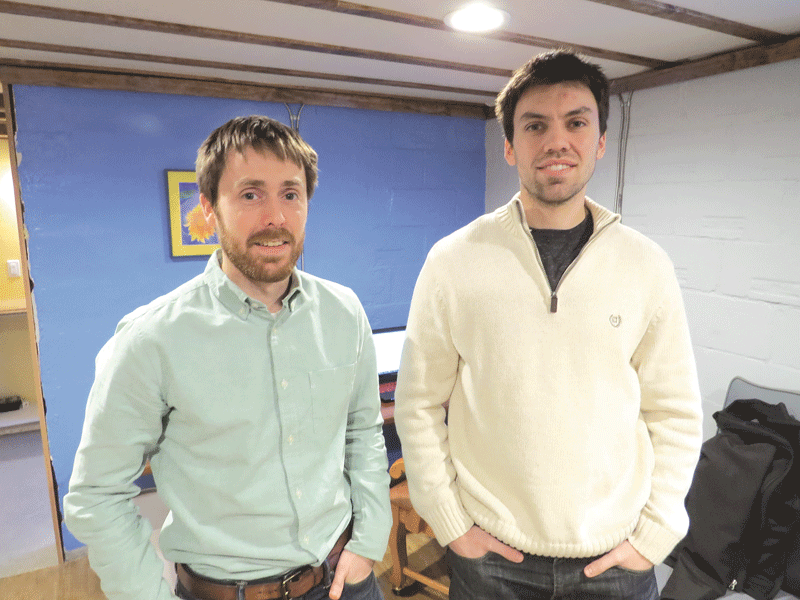 Around the same time, Scott Foster, president of Valley Venture Mentors and someone Waymouth considers a mentor, tipped him off about VVM’s accelerator program in Springfield — a much closer commute than Boston. So he enrolled in that four-month program, where he eventually won $32,500 in VVM’s Accelerator Awards — the second-highest award among 29 participants — to further fund the development of Pip. The campaign wound up raising $75,000 on the strength of more than 400 preorders, and Waymouth has since continued taking preorders — at a slightly higher price — from people who came across PetSimpl too late to take part in the Kickstarter campaign. Noting that Pip has gone through six or seven designs, he noted that product development early on, without funding, was extremely difficult. However, before the final round of the UMass Innovation Challenge, he won a grant for a couple thousand dollars, which he used to hire an electrical engineer to look at his basic designs and see if he could turn it into a circuit board. Waymouth had to be resourceful early on, such as when he bartered office space at MassChallenge for his first website design. But once the Kickstarter campaign was over, he was able to hire his first employee, Seth Berggren, as hardware lead. Patrick Kearney came on soon after as software lead. The team has faced down a number of thorny — often literally — problems. “We were unwilling to satisfy ourselves with the status quo,” Waymouth said, explaining that pet trackers he had researched have a tendency to catch on branches while the dog runs in the woods. Some companies have designed devices with a stronger snap that holds it together, only to find that the whole collar gets pulled off. PetSimpl’s solution is to attach the device around the collar, with the circuit board on one side and the battery on the other, the whole piece sliding around the collar so that the smallest piece possible hangs over. The company promises to develop additional products in the future, among them a pet door that opens only for a Pip-equipped animal, and a programmable food dispenser that knows when and how much food to release. But for now, Waymouth said, he’s excited to get the first iteration of Pip manufactured and shipped. But he and his team will continue to hone their product in any way that makes sense, he said, again repeating the mantra that the pet-owner market is an enthusiastic and loyal one, as long as a product does what it promises. And when the promise is to keep a family member from running away, that’s a serious pact indeed. However, many were willing to back PetSimpl and the Pip tracker, and Waymouth will soon learn whether he made the right move putting video marketing on the back burner and watching his career go to the dogs.